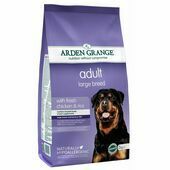 All dogs enjoy a little variety when it comes to their food, and nothing makes a meal more varied than a mixture of wet and dry ingredients. 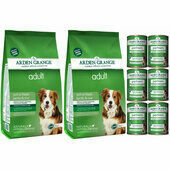 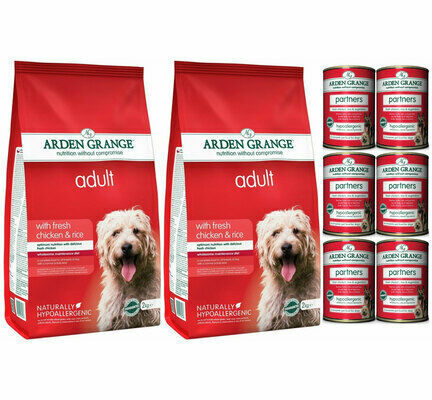 This Arden Grange dog food bundle comes with two 12kg bags of Arden Grange Chicken & Rice Dry Dog Food and six 395g tins of Arden Grange Partners Fresh Chicken, Rice & Vegetables Wet Dog Food, making it the perfect pack for dogs who love to mix it up every now and again. 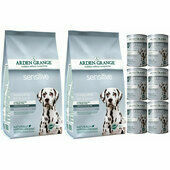 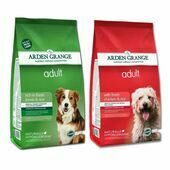 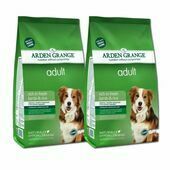 Free from gluten, wheat, beef, soya and dairy, both of these Arden Grange dog foods have been made using a hypoallergenic recipe so that they are safe for all dogs to eat, and will not upset sensitive tummies or agitate any allergies. 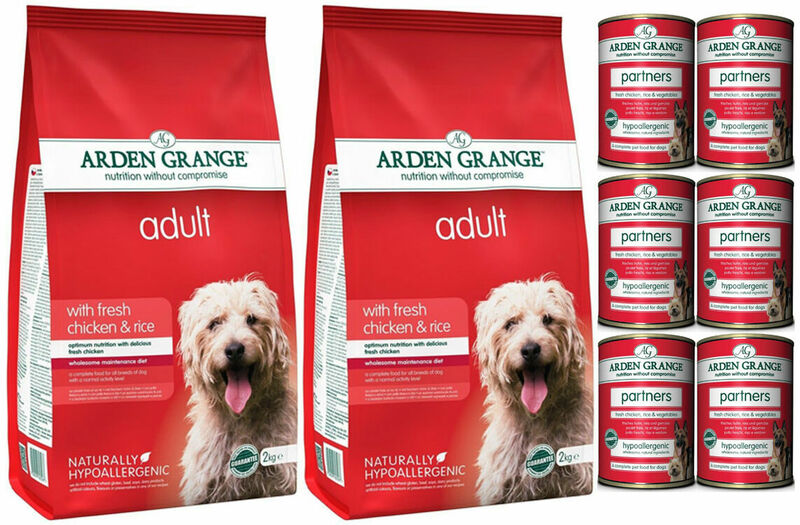 To ensure that these natural dog foods are as delicious as possible, Arden Grange Chicken & Rice includes only high-quality ingredients from sustainable UK-based sources. 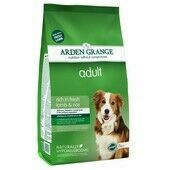 Arden Grange Partners Fresh Chicken, Rice & Vegetables Wet Dog Food: Fresh Chicken (70%), Rice (5%), Peas (0. 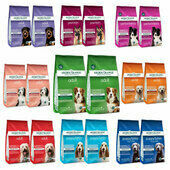 5%), Carrots (0. 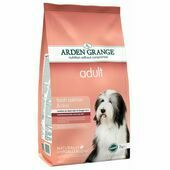 5%), Pumpkin Meal, Beet Pulp, Fish Oil, Minerals, Vitamins, Seaweed Extract, Glucosamine, Chondroitin, Cranberry Extract, Yucca Extract and Nucleotides. 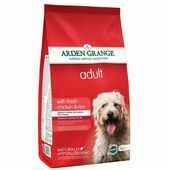 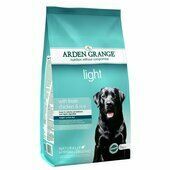 Arden Grange Chicken & Rice Adult Dry Dog Food: Chicken meat meal (27%), rice (26%), maize, chicken oil, beet pulp, fresh chicken (5%), chicken digest, yeast, whole dried egg, linseed, fish meal, fish oil, prebiotic FOS, prebiotic MOS, cranberries, yucca extract, glucosamine, MSM, chondroitin, nucleotides.